Somehow in my 3 years as a grad student at Cornell and 4 years as an undergrad I never once heard of CornellCon, a full afternoon devoted to comics, sci-fo and pop culture. Well…no sense crying over spilled milk I suppose, particularly as I’ll be making up for lost time when I perform at CornellCon this Sunday April 27th at 3:00pm. 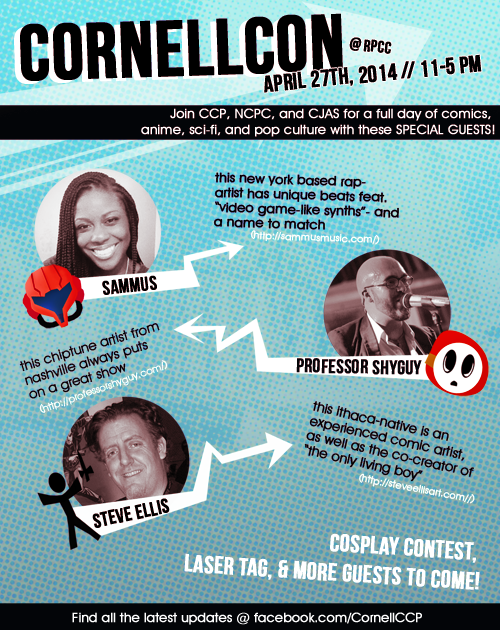 To RSVP for the event head over HERE and check out the CornellCon Tumblr for more deets. See you there!